Carve for a Cause is a pumpkin carving contest event and fundraiser put on by Architects Without Borders – Seattle (AWB-S), a nonprofit whose mission is to provide ecologically sensitive and culturally appropriate design assistance to communities in need. This annual affair that The RE Store has been a part of these last 3 years was held at Copperworks Distilling Company in downtown Seattle. 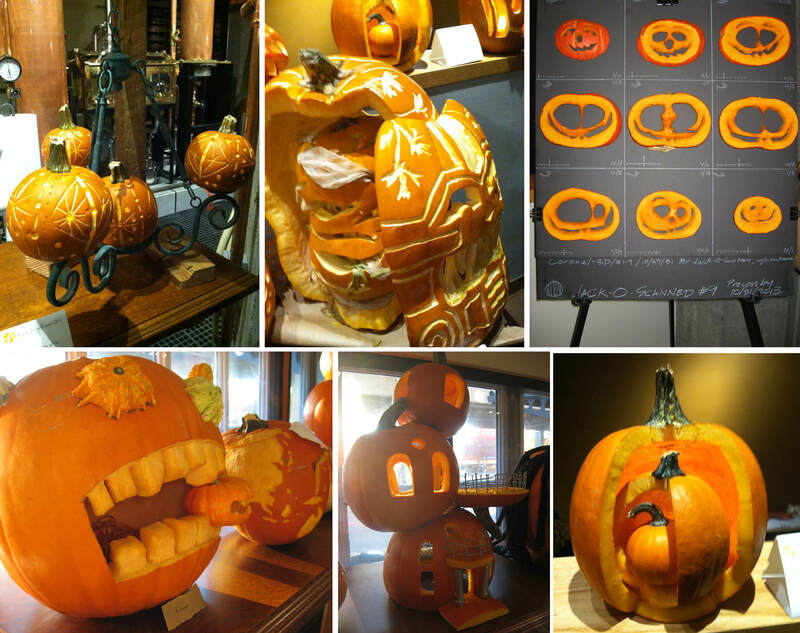 The pumpkins are carved by a wide range of design, construction and other related firms who put their best and most creative carvers together to compete for the titles of best Traditional/Scary, Artistic/Freestyle, Starchitecture, Judge’s Choice, and People’s Choice. Seattle store staff, Nichole, took the charge for creating The RE Store’s entry, and along with help from fellow staffers Henry and D’Andre, created The Lantern-o-Jacks (top, left). While our entry received many compliments, we lost out on taking home a prize this year. The competition was stiff and the judges had tough choices in front of them with over 40 pumpkins entered this year! A few of the amazing entries can be seen above – even more can be seen on AWB-S’s Flickr set here. Thanks to AWB-S for a great event – and to Nichole, Henry and D’Andre for their creativity and carving skills!